Arid Productions is a professionally trained and insured drone aerial photography and video company. We specialize in low level Drone Aerial photography and video. We use sophisticated small drone aircraft that can carry a variety of HD cameras on a stabilized camera gimbal. The great thing about drone aerial video is that we can capture the true nature of the surroundings without disturbing anything like a traditional helicopter does. This allows us to capture a truly intimate shot every time. We are also able to get where no person or standard aircraft can go. Perhaps the greatest advantage to using our services over traditional manned helicopters, is price. We fly for FREE, and only charge for the supplies used to deliver the footage and the labor for editing. We have shot video for Clients all over the US. Our most popular aerial services are for real estate sales, events, commercial property promotions, and construction sites. Arid provides Realtors an extraordinary aerial perspective of any listed housing or land property that’s sure to grab any buyer’s attention. Using this service makes aerial photography fast and efficient. For events...whether it’s sports, a 5k race, concerts, weddings, festivals, or music videos, Arid Productions has you covered. We have the ability to down-link a video signal to a ground monitor for a live view of what the camera is seeing and can even provide a live feed over the internet! Commercial builders and contractors now have access to an invaluable aerial photography service to document building progression or an entire property in one shot. Our drones are safe, fast, precise and can be used on site without any disruption. 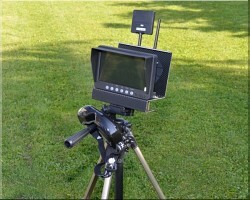 The professional RC Fliers at ARID PRODUCTIONS use only the latest and most advanced systems on the market. Our main platform consists of a lightweight remote controlled multi-copter equipped with a slew of on-board systems that make flying virtually effortless, and completely safe.The drone has a high definition video capable camera on board capable of panning and rolling. It sits on a revolutionary device called a gimbal. The gimbal interacts with the navigational software keeping the camera completely level at all times despite the yaw, bank, and other abrupt movements of the chopper. This makes for fluid and stable footage without any "jello" or jerkiness. The drone is about as loud as a common car on the road. Once its in the air, you'll barely even hear it. The drone contains a sophisticated GPS system. with the flip of a switch, the pilot can command the drone to fly back to the exact spot it took off from and safely land without ever touching the controls. Our units also contain fail-safe measures that in the event of lost contact with the transmitter, the drone will fly back and hover over the spot it departed from. The GPS system also allows the pilot and client to specify a certain route they would like the drone to follow and at preset heights. This is a great feature for construction sites or if you want to cover a set area. 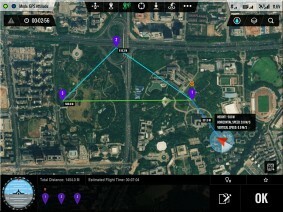 With this capability, the client or pilot can set a flight path and edit it in the air in real time. This feature is controlled using an ipad, and also records the flight stats for later viewing. While flying, the pilot and client are able to see a real time video feed being sent from the drones on-board camera. The pilot uses this video system to not only ensure they are getting the best shots, but also for safety. Our pilots are required to maintain visual contact with the drone at all times, to ensure the safety of property and persons on the ground. You'll think you're stealing it from us. Pricing is on a per job basis. All aerial photography shoots are different and there are a lot of things to consider. Temperature, wind speed, air condition, whether there are trees or power lines in the way, all factor in when doing aerial photography. In most cases we can give you an upfront cost by going to the site and doing a free estimate. If none of these dangers are a factor then it is really simple. ARID PRODUCTIONS is committed to delivering the highest quality images and video, therefor... the date for the shoot will always be determined and controlled by weather conditions. One time charge of $200 location fee for the first hour. Each address is 1 hour minimum charge. (Most shoots will NOT take longer than 1 hr.) During shoots we will capture between 10-100 original images, depending on what the customer is looking for. If additional time is needed at same site it will billed be at $75 per hour. Clients will receive three large format pictures in digital form at no extra cost. Additional photographs can be purchased for $25 dollars per photo. All images on a CD in whatever format you choose. (jpg, psd, raw, tif, etc.) >Within 48 hours of shoot, clients will be provided with a low resolution thumbnail proof (via web) so they can choose which photos they’d like to purchase. We also offer print services for your photos. We will shoot within a 45 mile radius of Phoenix, AZ or 10 mile radius of Flagstaff, AZ at no extra cost, but will travel anywhere in the country. Call us for travel costs outside Phoenix and Flagstaff. Additional charges for flights ver water or steep terrain. Special Realtor packages available for multiple address sites. Once we are paid, YOU RETAIN ALL RIGHTS TO THE FOOTAGE AND PHOTOS! Don't fall for other companies who scam you in the end for copyrights to YOUR pictures! Prices for real estate aerial video vary depending on the list price of the home, or property. Aerial shoots for events, and all other categories start at $250 for the first hour and $95 for each additional hour. All videos will be shot in HD (2.7kHD 30fps or 24fps, 1080p 30fps or 24fps, or 720p 60fps) with H.264/MP4 codec. 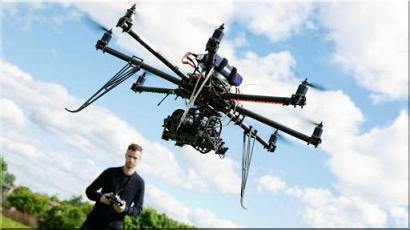 Our cameras are very smooth and steady, utilizing state of the art brushless 3 axis gimbals. If requested, video editing can be provided at a rate of $100 per hour (one hour minimum). We will shoot within a 45 mile radius of Phoenix, AZ and Flagstaff, AZ at no extra cost, but will travel anywhere in the country. Call us for travel costs outside Phoenix and Flagstaff. Additional charges for flights ver water or steep terrain. Special Realtor packages available for multiple address sites. Once we are paid, YOU RETAIN ALL RIGHTS TO THE FOOTAGE AND PHOTOS! Don't fall for other companies who scam you in the end for copyrights to YOUR pictures! Prices for real estate aerial video vary depending on the list price of the home, or property. Up to 1 hour on site. 1:30- 3:00 minutes of edited HD video of exterior of home and/or property. Video edited to music (Royalty Free) Video uploaded to YouTube and/or Vimeo and/or supplied on 4GB class 4 SD card (no charge for SD card). Titles and descriptive text can be added to the edited video if the client provides all the information that they would like to have included. High risk flights and travel expenses may still apply. Up to 2 hours on site. 2:00- 4:00 minutes of edited HD video of exterior and interior of home and/or property. Video edited to music Video uploaded to YouTube and/or Vimeo and/or supplied on 4GB class 4 SD card (no charge for SD card). Titles and descriptive text can be added to the edited video if the client provides all the information that they would like to have included. High risk and travel expenses may still apply. Package price starting at $550 If you would like to add audio voice over’s to the edited video, we can work with the Realtor and record whatever audio he/she would like to add. The fee to add this service is $50. We're in the clear, and so are you. Despite roumors that using drones for your business is illegal, as of right now it’s perfectly legal to operate a drone for commercial reasons given the drone operator is licenced and approved to fly through the Federal Aviation Administration. Our compnay and pilots are all 100% certified and insured. They are licenced professional fixed wing pilots and also carry part 107 and/or 303 certifications.